The weekend is finally here, so I thought now was the perfect time to share with you how I like to spend a relaxing night in, courtesy of Formula 10.0.06. For those of you who are not familiar with the brand, Formula 10.0.06 is a skincare company that has been around since 1933, that specializes in a wide variety of products for every skin type! 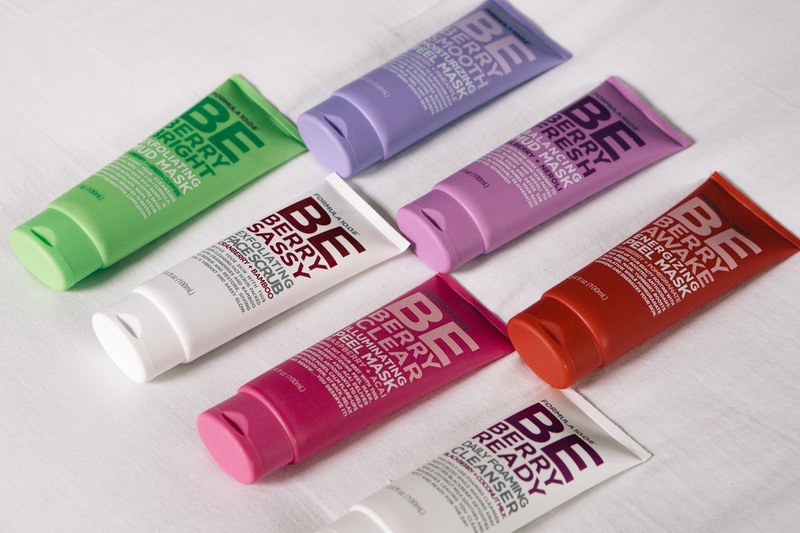 I personally have sensitive/combination skin, and I found that the Be Berry Fresh Moisturizing Mud Mask was my favorite. After a long day, the first thing I like to do when I get home is change into a comfy pair of PJ's. I got these pink satin pajamas during the Nordstrom Anniversary Sale and I must say, I am obsessed! Once I am cozied up in pajamas, I like to light a few candles in my bedroom or bathroom and then proceed to take off all of the makeup, oil and grime (eek!) that has built up on my face throughout the day. 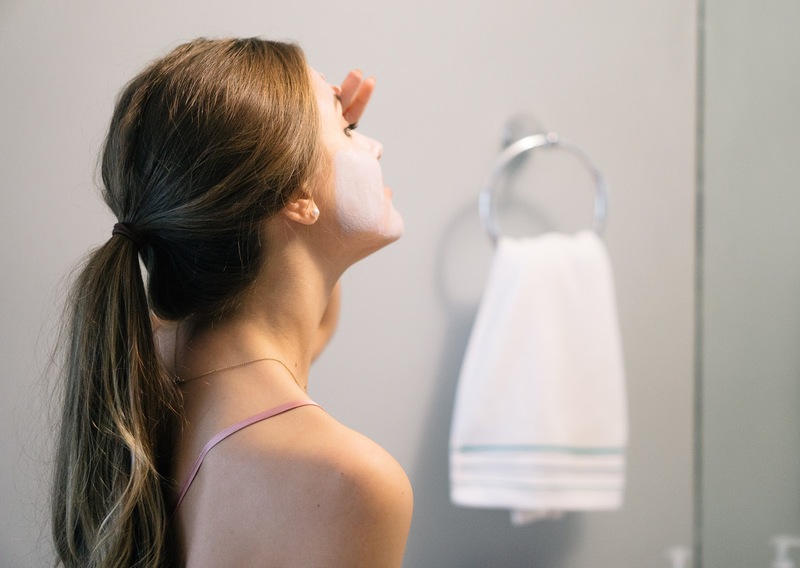 I used the Be Berry Ready Daily Foaming Cleanser to wash my face, and then applied the Be Berry Fresh Moisturizing Mud Mask in order to really give my face a good detox! 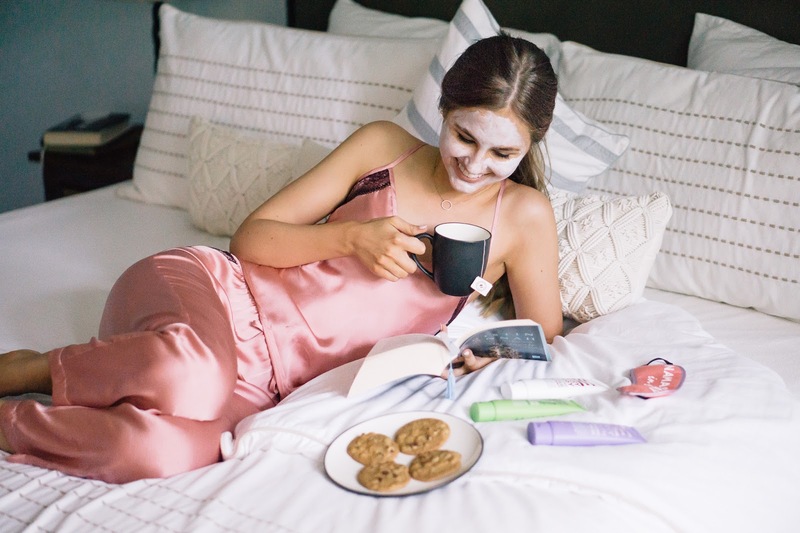 While I relax with the mud mask mask on my face, I often curl up in bed to either watch a feel-good movie or to read a book. On this particular day, I decided to read The Nightingale, by Kristin Hannah, and let me tell you, you will not want to put this one down! I am afraid to say that I have a bit of a sweet tooth, so while I was lounging around I also decided to break into the cookie jar and make myself a hot cup of peppermint tea. I always find that I sleep better at night when I end the day feeling relaxed, which for me equals a bit of self pampering, a hot cup of tea and a good book. I hope this post has inspired you to pamper yourself a little bit this weekend (you deserve it, after all), and be sure to check out Formula 10.0.6's products, which are conveniently available at Target and Ulta! What is your favorite way to wind down after a hectic day? Leave me a comment down below! Thank you to Formula 10.0.6 for sponsoring this post. All opinions are own. Face masks are my favorite! I'll have to try! Ooh!! I want to try a face mask! I am always looking for new skin care. My favorite thing is a bath + a nice face mask + alllthe bath and body works candles! HAH! Love this! Pampering is a MUST! I love a good hot bath and face mask to wind down!